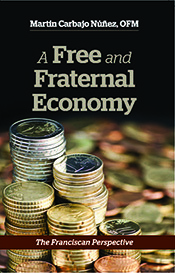 1 in USA: FST, in affiliation with the Univ. of San Diego. - Download: Video | Audio | Full text. - Evaluation by an Independent International Commission. - Rector of the Minor Seminary (1989-1995). - Superior of S. Antonio de Herbón santuary, for six years. 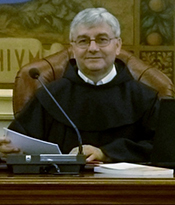 - Definitor in his Franciscan Province (1992-1995). 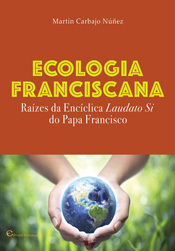 - Directive Council of these scientific magazines: "Liceo Franciscano" (since 2003), "Veritas", Revista Ecclesiastica Brasileira (REB), Verdad y Vida. 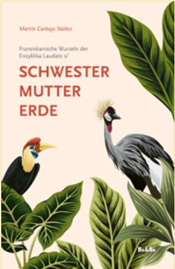 - Forum of ethical-economic thought. - In the Social Ethics field, professor Carbajo investigates about the present relevance of the Franciscan philosophical and theological tradition in order to help humanizing the global world through all that has to do with Justice, Peace and the Integrity of Creation. 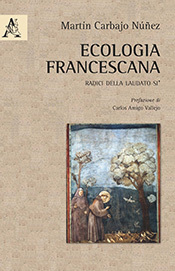 More precisely, he tries to formulate a global ethic and an integral ecology in the perspective of the Franciscan Intellectual Tradition. 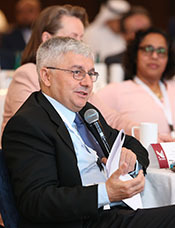 - In the field of Communication Ethics , professor Carbajo studies the relationship between public and private realms in human life and in Social networks. 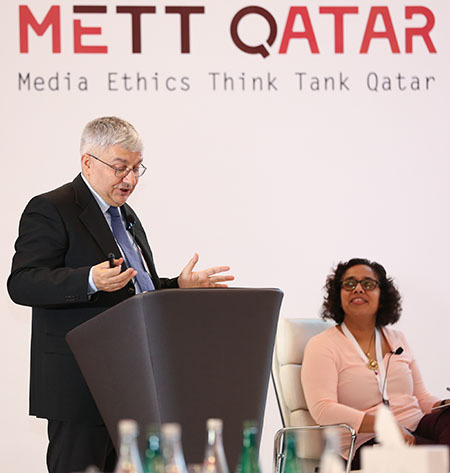 More specifically, he investigates on the ethical challenges of the new digital age and on the journalistic deontology regarding informational privacy. The new Information Technologies are already unavoidably embedded in our daily life. For many people, they are "the chief means of information and education, of guidance and inspiration" (RM 37). We are in a new culture, a new way of being and thinking; so we can rightly say that, in social communication, our destiny is at stake. 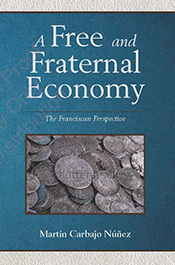 With my research and academic activity, I try to discern how to inhabit the new digital environment, taking inspiration from the Franciscan Intellectual Tradition. - Colombia, "Media & Ethics": Cali 31-8-2012 | Medellin 10-9-2012 | Cartagena 12-9-2012 | Bogotá 14-9-2012 | All || Video: 1, 2, 3, 4, 5, 6. || Photo (all) | Cali. 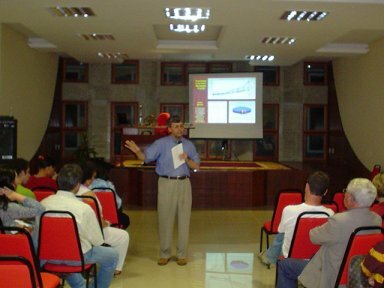 - Brasil, "Virtual World & Ethics", 22-9-2011 | Text | Audio: 1, Conference talk , 3,4 | Video: 1, Conference talk , 3,4. ||| "The trading of private life", 15-4-2004. 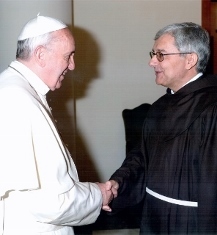 - Italy, Assisi 7-02-2019 || Bologna 5-05-2018 || Molfetta 24-01-2018 | Video: 1, 2 ||| "Dialogue", Assisi 9-13 dic 2002 ||| Rome oct. 2010. - USA, Oakland 5-08-2018 ||| Oceanside: 10-12-2017 || 24-10-2018 ||| Berkeley: "Cinema and Visual Culture", July 2001,2002,2003 ||| Danville: 8-9 sept 2003 | 8-2012 & Radio ||| July 2008. - Mexico, "Real and Virtual Worlds", UDEM Univ., Monterrey, 12-14 May 2003. - Italy, Assisi 11-03-2019 || 7-02-2019 || "Digital era & the Consacrated " Rome 21-5-2015 || Baronissi 25-5-2015. - USA, Los Angeles, CA, 18-11-2017. 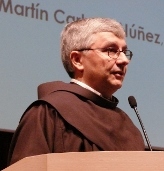 - Spain, "The Franciscan Parish Priest": Puenteareas 22-11-2011 ||| Bishops & Confer-ga 25-9-2012. 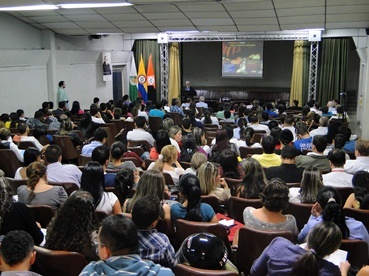 - Colombia, "The Franciscans & Human work", Bogotá 30-8-2012 || Photos. - Mexico, Guadalajara - Mexico 16/04/2018 . - Ecuador, Quito, 6-09-2011 | Audio | Interview | Condecoration. - Italy, Assisi 10-11-2008 ||| Tivoli 18-4-2011 || 10-5-2012 ||| Trento 14-4-2009: Interview | Video - Download. - Poland, Olsztyn 11/12-06-2018 . - Spain, Santander 15-7-2015 | Murcia 9-3-2012 | Audio ||| Murcia 14-10-2014 | Video 1 , 2 || Interviews: TVG 12-10-2014 | RNE 9-03-2012. 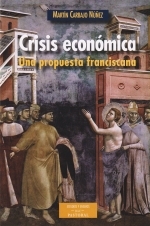 - Chile, " Franciscan friars & Economics" | Santiago 10-9-2011. - Colombia, "The Franciscans & Economics", Medellín 12-9-2012 || Photos. 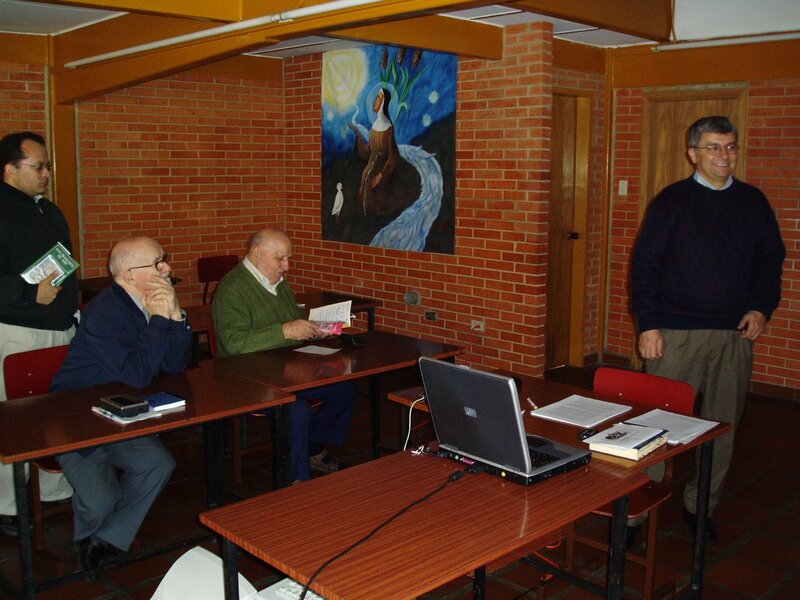 - Mexico, Mexicali 1-9-2018 ||| Lectio prima , ITF Monterrey 2-8-2010. - Chile, Santiago | 10-9-2011 | Audio. 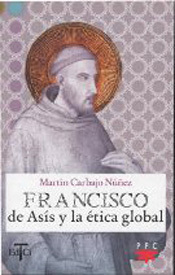 - Colombia, "The Franciscans & Global ethics", Bogotá 28-8-2012 || Photos. - Italia, Faenza 5-01-2019 ||| Rome 5-01-2018 ||| Roma 5-01-2017 | 1-05-2016 | 26/27-04-2016 ||| 11/12-02-2016 | "Religions & peace", Rome 13-11-2013 | Rome 16-6-2012 | video ||| Assisi 9/13-12-2003 ||| Benevento 19-3-2007 ||| On family: Rome 18/19-03-2015. 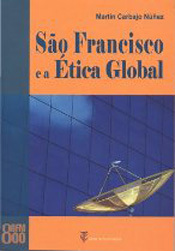 - Peru, "St. Francis & Global Ethics", Lima, 3-9-2011. - Turkey, The contribution by religions to peaceful coexistence in Society - Istambul 27-09-2014 . - Spain, Valencia, 22-2-2007 ||| Madrid 18-12-2008 ||| TV Interview 1-1-2012. - Venezuela, Caracas 3-7 jan. 2005. - Colombia, "The Franciscans and ethics" (24 hours), Bogotá 28/30-IX-2012 || "Responsible use of Media" (20 hours), Bogotá 3/7-sept-2012 || Photos || Evaluation || Gratefulness. 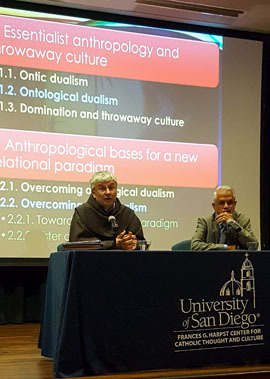 - USA, Danville (CA) 23-08-2017 ||| Multicultural Institute, Berkeley, 13-19 July 2009. - Peru, Lima 2/09/2014 . - Italy, Rome 5-01-2016 ||| Rome (Curia) 29-01-2014 ||| Assisi 9/10-11-2013 ||| Assisi 10-11-2012 ||| Rome 16-6-2012 | video 1 , 4 ||| Castelspina, 24-25 sept 2005 ||| Fara Sabina, June 2008 & 2009. - Mexico, Mexicali 1-9-2018 ||| Messicali 14-12-2016 ||| Querétaro 18-22 August 2009. - Spain, Madrid 28/04-1/05/2018 || 3-7.06.2019 || Coruña 9/04/2016 || Santiago 16-09-2014 ||| Madrid 17-21/03/2014 || 20-24/04/2015 || 18-22/04/2016 || 16-20/05/2016 ||| St. Bonaventure Department, University of Salamanca 13-18 nov 2006. 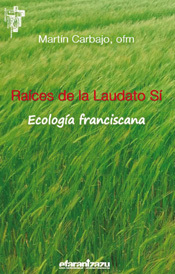 - Peru, Franciscan Studies Week – Lima 1-5/09/2014 (five dissertations) || 11-15/09/2017 (four dissertations) . - Mexico, Guadalajara - Mexico 15/04/2018 . - Italy, Rome 12-05-2018 || Rome 27-28.04.2018 | 3-7.06.2019 || Terni 14-01-2016 | Lavinio 22-07-2015 | Corso GPIC – Rome 9/19-04-2013 ||| Rimini 28-09-2013 ||| Massa 28-11-2014. - Italy, Rome 21-4-2012 | Audio | Debate ||| Rome 16-6-2012 ||| Predazzo 16-12-2012. 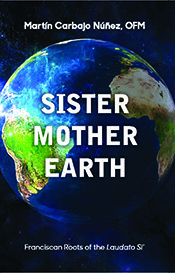 - Italy, Course on "Environmental Ethics" (Master - Rome 2011) ||| Rome 15-6-2013 . - Spain, Valencia 11-04-2019 . - Poland, Olsztyn 27-28.04.2019 . - Philippines, Lipa 12-16 sept. 2009. - India, Vailankanni 1-3 may 2008. 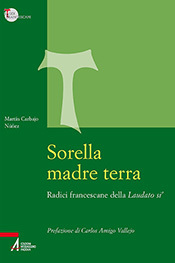 - Italy, Course on "The Virgin Mary as a model in Communication ethics" , jan.-april 2011. 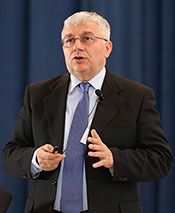 - Vatican, Correspondent Member of the Pontifical Marian International Academy (since 14-11-2010). 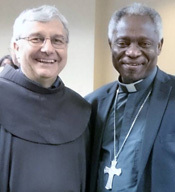 - France, On Vatican II: Paris 12/15-04-2015 | Audio. - Italy, On the Holy Week: TV2000 31-3-2015. 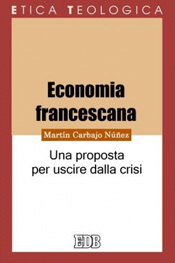 - Spain, RNE: Economic crisis. 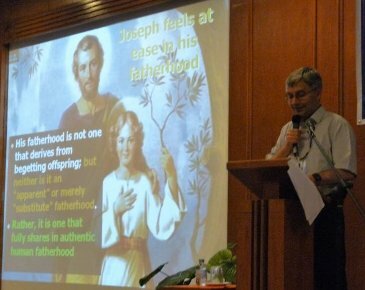 • Since 2004, he also teaches at the Alfonsian Academy (Lateran Univ.) . 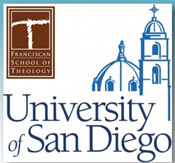 • Franciscan School of Theology, affiliated to the “University of San Diego” (California) . • He also reads and understands Portuguese & Galician. • Boston: at the Boston College (July-August 1997). 92? ?DP “Everything is connected ". 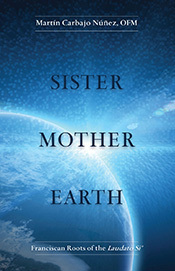 Integral ecology and communication; 9207DP Ethical Basis for Dialogue in the Information Society; 1040TP Fundamental Moral Theology; 1036TP Socio-political, Economic and Informational Moral Theology 1089TS Seminar on Moral Theology; 1219TP Moral Theology and Social Doctrine of the Church; 4194RP Internet, Mass Media and the Communication of Faith; 4211RPThe religious web site; 4019RP Economic and Political Moral Theology; 4141RP Virtual Communication and Catechesis; 4162RP Socio-political, Economic and Informational Moral Theology; 4162RP Social Doctrine of the Church and Moral Theology; 4217RP Social Doctrine of the Church; 1207TP Moral Theology and Social Doctrine of the Church. 5) S-20B Casi scelti di ecologia integrale . 40. 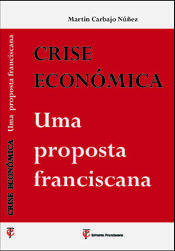 ____, "Economia e comunicazione alla luce dell’enciclica Caritas in Veritate", in Studia Moralia 49/1 (2011) 59-115. 22. 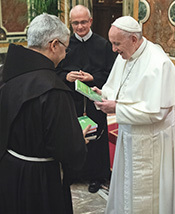 ____, "Presentazione", en ID, ed., Giovanni Duns Scoto, Studi e ricerche nel VII centenario della sua morte, = Medioevo 15, I, 2 vol., Antonianum, Rome 2008, XIII-XIV. 21. 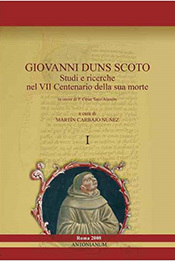 ____, ed., Giovanni Duns Scoto, Studi e ricerche nel VII centenario della sua morte, = Medioevo 15, II, 2 vol., Antonianum, Rome 2008. 19. 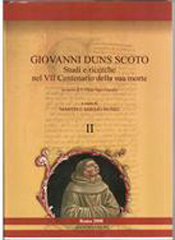 ____, "Actualidad de Duns Escoto en la Sociedad de la Información", in ID., ed., Giovanni Duns Scoto, Studi e ricerche nel VII centenario della sua morte, = Medioevo 15, II, 2 vol., Antonianum, Rome 2008, 471-506. 2. ____, Intimidad y ética en la sociedad de la información. 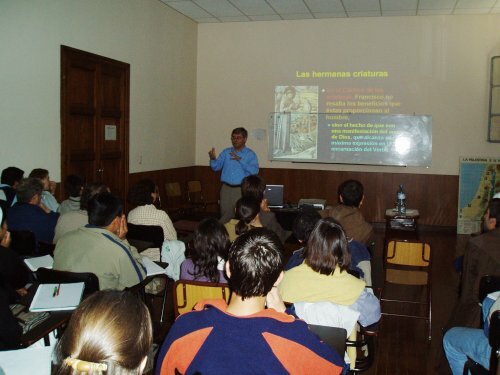 Estudio ético-teológico del dinamismo revelación/ocultación, Pars dissertationis ad Doctoratum in Theologia morali consequendum, Pontificia Universitas Lateranensis, Academia Alphonsiana, Rome 2001. 142. 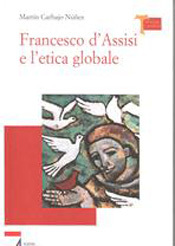 ____, "Human Rights, Sostenibility and Common Good", in Il Cantico 79 (07-2012) 9-14. 141. ____, "Life styles in the Global Village: The pilgrim and the Tourist", in Il Cantico 80 (8/9-2012) 12-18. 00. 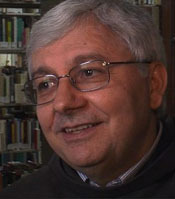 ____, "Saluto del Vice-Rettore della PUA, in P. Martinelli, ed., Testimonianza della fede e dialogo tra popoli e religioni. Atti della cattedra di Spiritualità e dialogo interreligioso. Anno Accademico 2012-2012, in Supplemento al n. 2-3/213 di Italia Francescana, Rome 2013, 73-75.